PSR host, Ian Lauer CSCS/IFBB Pro, has two great guests lined up for you on this episode of PHYSIQUE STAR RADIO. With him today is the winner of "The BEST ABS in SO CAL" contest held at the LA FIT EXPO, Mike Saffaie. Listen as Mike shares his secret to his great ABS! Also on the show for the first time is IFBB Pro Mark FLEX Anthony. Mark will be discussing his 2012 season and what he has planned for 2013. Physique Star Radio (1/17/13): Natalie Minh and Trainer Eric DiLauro returns!! Join us today on PSR as we welcome guests Natalie Minh, Fitness Industry Mogul, and Trainer to the Pro's Eric DiLauro. In this episode of PSR, Natalie discusses her new book geared towards fitness models and shares insider tips on breaking into the fitness industry. In the second half of the show, Eric talks about specifics when it comes to creating a great V-taper and ultimately building your best body for the Men's Physique stage. 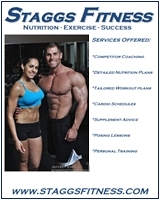 This weeks features two top names in the fitness industry. Our first guest, Robert Reiff, is one of the top fitness photographers in the world. He has shot for the majority of the top magazines in the USA and worldwide for decades! On this episode of PSR, he gives insight on how to get into the magazines. Our second guest is Eric DiLauro. He is one of the top trainers of our day. 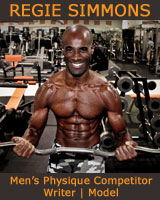 He has worked with Jay Cutler and many other IFBB Pros over the years. He shares some thoughts on the difference in training for Physique versus Bodybuilding. NYE Special Show. Goal Setting for the New Year and Busting Off The Holiday Bulge. Guests: Tom Terwilliger and Tad The Diet Coach.